The Warner Bros. Theatrical Panel opened to spectacular effect Saturday afternoon at San Diego Comic Con 2018. 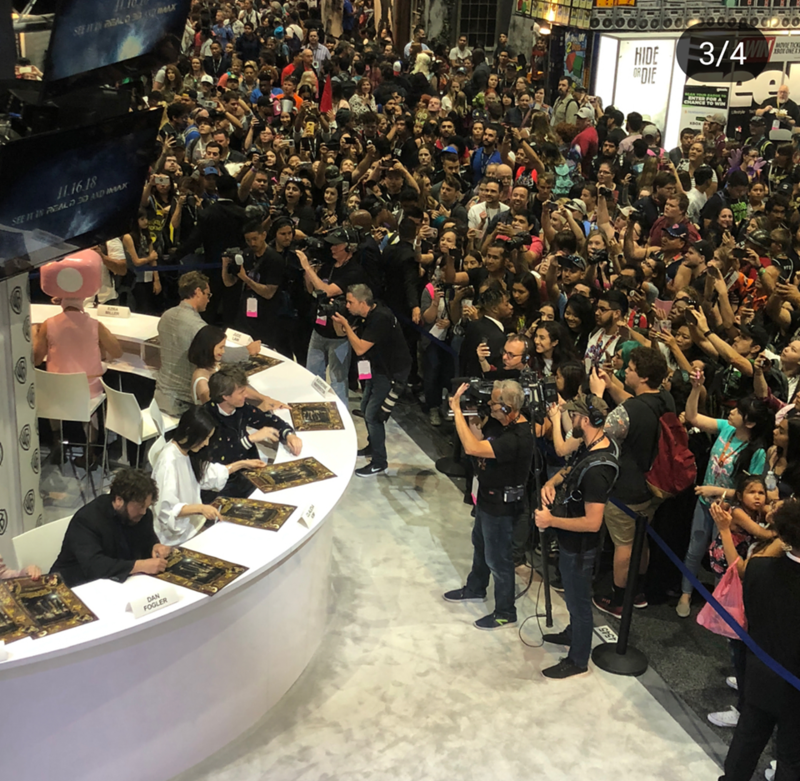 The screens then filled with a trailer cut from several Warner Bros. films, including Fantastic Beasts and Harry Potter, before Newt’s briefcase appeared to wild response from the crowd. According to Anelli, fans went “completely insane.” She reported that being surrounded made audience members feel they were inside the case! 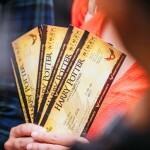 Suddenly, Newt’s voice erupted and instructed the crowd, “Settle down, please, we have quite the journey ahead of us” before casting the spell, “LUMOS!” To the surprise and delight of all, the wrist-bands then LIT UP. MEU DEUS! Que coisa mais linda e preciosa! Anelli remarked in awe that Newt was “carrying the WHOLE THEATER with him to Paris.” The screens then revealed stained-glass-like depictions of the characters, perhaps symbolizing the idea that dynamics have changed this time around. Everything is more complex and multi-faceted–nothing is straightforward. The cast members were then called onstage: from left to right we spied Jude Law (Albus Dumbledore), Claudia Kim (Maledictus), Zoe Kravitz (Leta Lestrange), Callum Turner (Theseus Scamander), Ezra Miller (Creedance Barebone), Alison Sudol (Queenie Goldstein), Dan Fogler (Jacob Kowalski), Katherine Waterston (Tina Waterston) and, of course, Eddie Redmayne (Newt Scamander) himself! And, finally, after the requisite introduction to the waiting audience, the big moment arrived–Warner Bros. unveiled the new official trailer, which was announced by Leaky here and analyzed shot-by-shot here! 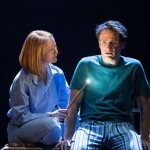 After Law’s description of the central tensions of the dark story, the questions took on a more light-hearted tone as the cast was asked what they would do with the ability to conjure magic. They were also asked to describe to film in just one word–a tall order given Law’s earlier synopsis!–but the cast was game and gave it a go. 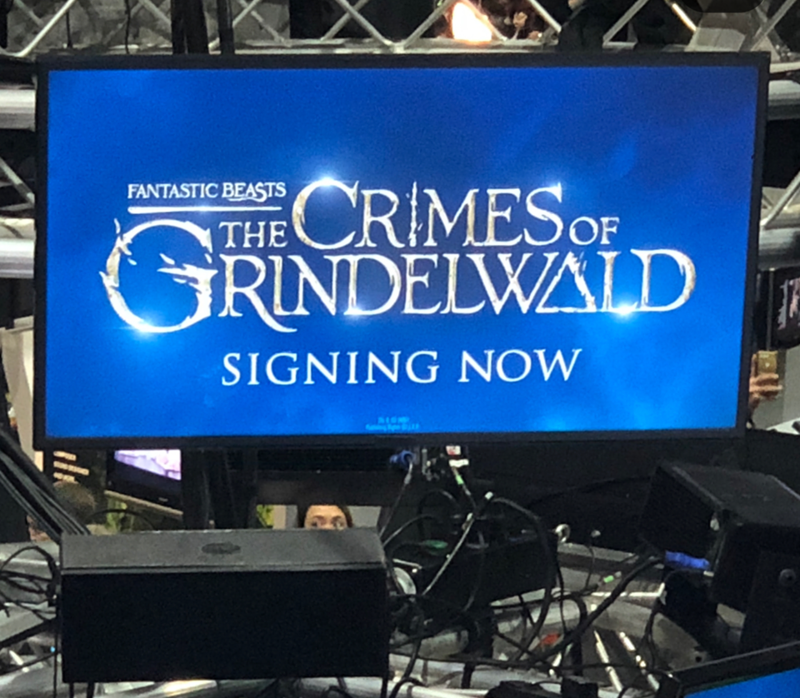 Tyler then directed the audience’s attention to the film’s antagonist and Dumbledore’s antithesis with a foreboding voiceover that invited the crowd to talk about “the crimes of Grindelwald” as new footage rolled. With the sign of Grindelwald in the background, two “Gs” back-to-back overlaying the Deathly Hallows symbol, Johnny Depp appeared onstage in full costume to address the hall. As Depp spoke, presumably giving the same speech depicted with select sound-bites in the trailer, the screens filled with images of the Wizengamot, wands at the ready. All were surrounded. Then, as mysteriously as he appeared, Depp as Grindelwald was gone, ushered away, and the crowd was left to ponder his words. How charismatic. How persuasive. How non-threatening. And yet, the audience could sense the danger and darkness lurking beneath. It all leaves us breathless and still, somehow, eager for more – we never tire of seeing new material. Though the panel also unveiled an incredible new cast poster, it’s just not enough. Roll on November 16th! 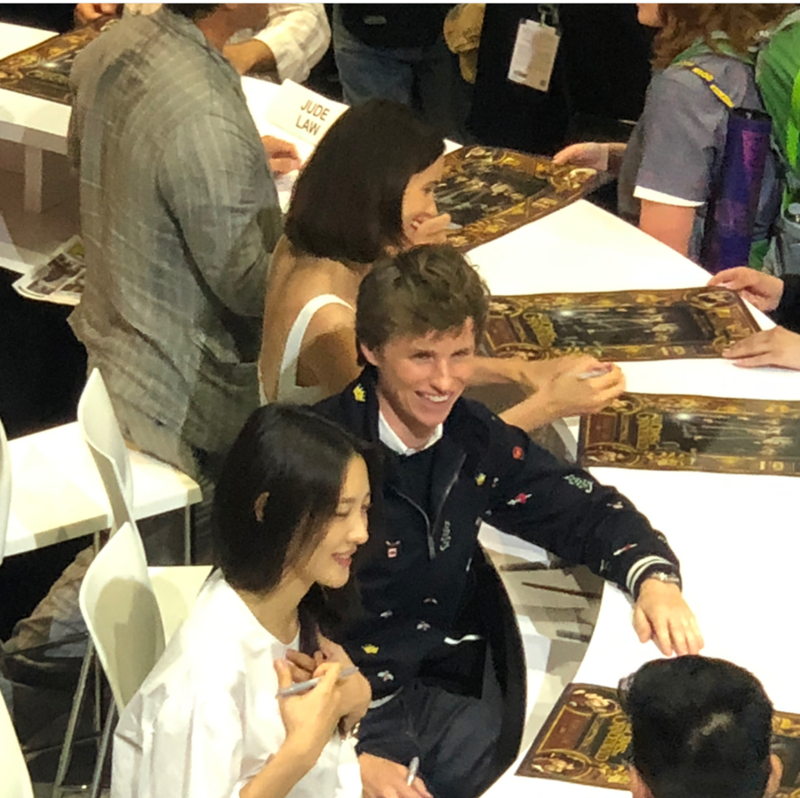 The Fantastic Beasts portion of the panel closed out with signings for the lucky fans in attendance. 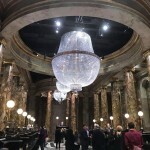 Photos were shared by James McKnight, Chief Creative Officer of the Wizarding World, The Blair Partnership. Whose side are you on, Potter fans? Choose wisely.